Ah, this is more like it! The Halford band was one of the best bands to come out of the last decade but a reunited Judas Priest put the group on hold for a long time (even though that didn’t stop Rob from remastering and reissuing the band’s three albums previous ad nauseum). A comeback was made last year in the form of the odd, yet enjoyable Winter Songs but now Halford is back with an album that sounds much more like Resurrection than Crucible and that’s okay by me. Crucible was a bit too angry and heavy to me and lacked hooks. Resurrection on the other hand was one of the my favorite albums from the last decade and Made of Metal (sometimes referred to as Halford IV: Made of Metal) is easily one of the top albums of 2010 in the very least. I was really looking forward to this album but the album’s first single “The Mower” didn’t thrill me (though I didn’t hate it). Luckily, “Made of Metal” was put online, accompanied by a very cheesy NASCAR-inspired CGI video, and gave me much more optimism for this album. By the way, what’s up with the NASCAR stuff? Even in press releases for the album they would mention the unofficial NASCAR connection with the “Made of Metal” video. There’s no licensing deal that I’m aware of but it seems like like maybe Rob was fishing for one. As I said earlier, the album isn’t as heavy as Crucible, much of it sounds like the commercial metal that you might’ve heard from Priest during the mid-’80s. “Speed Of Sound” and “We Own The Night” have an obvious commercial flair, “Undisputed” is a lyrically cheesy but still very catchy anthem and “Hell Razor” sounds like late ’70s/early ’80s Judas Priest. On the flip side, “The Mower” is an absolutely brutal metal number in which Halford’s vocals get downright nasty. Then there’s “Till The Die I Day” which is a surprisingly bluesy outlaw of a rocker that reminds me of something Whitesnake would do and “Thunder and Lightning” has a bit of boogie I didn’t expect from Halford either while “Matador” appropriately has a south of the border feel to it. I really like the variety on this album. The album is similar in sound to Priest, Fight and previous Halford efforts while a song like “I Know We Stand A Chance” brings to mind H.I.M. and other similar sounding goth rock bands. I knew this album had potential to be good but I also thought it could’ve been a train wreck. Luckily Rob and Roy Z have turned in one of the best albums of the year and Rob’s voice shows no signs of slowing down. A lot of reviews have bashed the lyrics but who cares? It’s good MUSIC! Great album. Seven years after the last studio effort from Halford, Rob & Company return with a… CHRISTMAS ALBUM ?! Yes, it’s weird, it’s shocking, it’s true. Even more shocking — it’s actually pretty good. I was extremely excited to discover 2009 would bring us new Halford music. When Rob rejoined Judas Priest, the band went inactive but there were still countless live albums, reissues and compilations being issued so it is nice to see and hear new material from the group, even if most of it is covers of Christmas songs. I find it odd that Rob chose to let this be the third studio release from Halford though. A Christmas CD? Really? Well, if Twisted Sister can do it, surely the Metal God can! I’m hearing a lot of resistance to the idea of Rob Halford doing Christmas songs, but maybe some of that is stemming from having his solo band’s name on it (who were one of metal’s most promising acts of this decade, IMO). Maybe Rob wants to turn Halford into the next Trans-Siberian Orchestra? 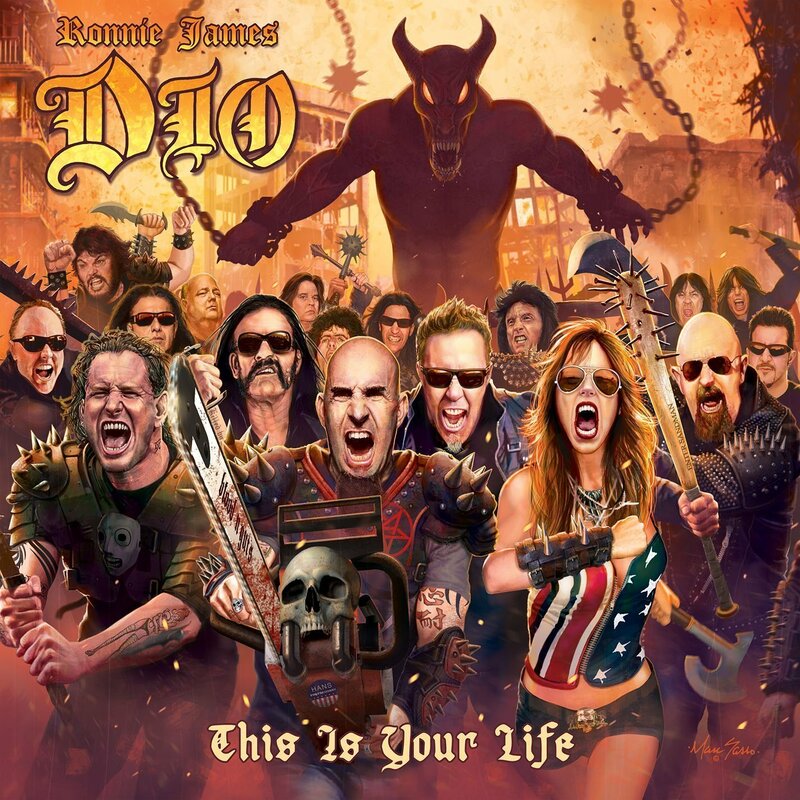 Maybe if he stuck ‘ROB HALFORD’ on the cover instead of just ‘HALFORD’ metalheads could accept it more, though I admit it is a bit of an out there concept to wrap your head around. Clearing away any preconceived notions I might have had, I’m really enjoying this album. It’s Christmas, it’s hard rock, it’s heavy metal, it’s ROB HALFORD! How can you go wrong? 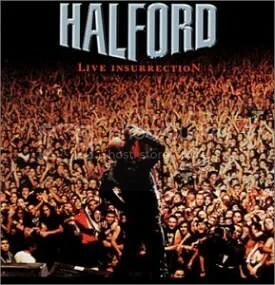 I’m sorry for ever doubting you, Mr. Halford! The original songs (“Get Into the Spirit”, “Christmas For Everyone”, “I Don’t Care”, “Light of the World”) are pretty good, with “Get Into the Spirit” easily being the best of that bunch but what is really surprising is just how good Halford’s take on these traditional Christmas songs can be. 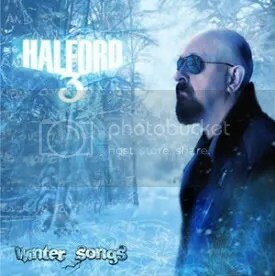 There is no doubt this is the Metal God at work, but unlike some rock/metal acts who do Christmas songs, Halford doesn’t try to impose himself too much over the songs. In short, you’re not going to confuse “Oh Holy Night” or “Come All Ye Faithful” with “Painkiller” or “Resurrection”! This is a great addition to my growing Christmas rock collection and I have a feeling it’s going to be getting a lot of airtime at home and in my car this holiday season… and for many more to come! This is a good live album with a setlist that spans Rob’s career in Priest, Fight and Halford (What, no Two songs?). The songs were recorded at various locations throughout Halford’s 2000-20001 World Tour, but you wouldn’t really know because the production of this album gives both discs a nice feel on continuity, making you think it’s all one gigantic show. Virtually every live album includes some sprucing up in the studio, and Rob has admitted that about this album himself, but you can still tell this band is in top form. Rob’s voice is great and the rest of the crew is on fire. I really don’t care for the sound of Fight, but the rest is aces… You can’t go wrong with Judas Priest or Halford! Maybe the crowd response was sweetened, but it still gives me goosebumps, especially on “The Hellion” and leading into “Electric Eye”. Halford was (is?) a great band, this live setting proves that, so I had mixed emotions when it was announced Rob was going back to Judas Priest. 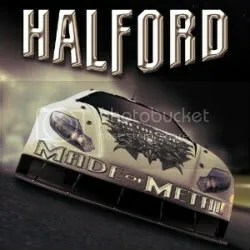 Hopefully, when/if Priest ever decides to take a break, Halford will get back going at full force (Rob intended to give us a new Halford album in 2007, but writing for Nostradamus put that on hold). Unfortunately (and here’s the band thing about post-producing live albums), Iron Maiden’s Bruce Dickinson did not really duet with Rob on “The One You Love to Hate”. According to Scott over at No Life ’til Metal, they were two separate soundchecks done in London that were then spliced together with crowd noise added in. Additionally, “Light Comes out of Black” and “Life In Black” were both soundchecks with crowd noises thrown in. “Hell’s Last Survivor” and “Sad Wings” were bonus tracks from the Japanese version of Resurrection. “Screaming in the Dark” is a new studio song by Halford. It’s okay. It’s much heavier than anything from Resurrection and sounds much more similar to the heavier sound the band would produce on 2002’s Crucible. “Heart of a Lion” and “Prisoner of Your Eyes” are Priest demo songs (both later made their way onto Judas Priest remasters/box sets). I like’em. Even though he officially left Judas Priest in 1993, Rob Halford never left the world of metal. He carried on by forming Fight, a band with a slightly updated heavy metal sound, and then dabbled in industrial metal by forming Two. Neither band proved to be particuarly successful for the Metal God. So while Tim ‘Ripper’ Owens was doing his best Halford impersonation with Judas Priest in the late 90s, Rob Halford decided to impersonate himself with a brand new band called, approriately, Halford. And the results are stupendous. From the opening title track, you know the Metal God has returned and he’s done playing with other metal genres. The scream is signature and I played that opening track so many times just to hear him scream “RESURRECTION!” It gave me goosebumps and still does. Although Rob broke out the leather & motorcyles imagery he was famous for, this album and band aren’t a Judas Priest clone. Halford pulls off a classic heavy metal/modern heavy metal hybrid, thanks in part to songwriting help from producer Roy Z. and guitarist “Metal” Mike Chlasiak. For those of us who were awaiting the Judas Priest/Halford reunion, this was the next best thing and there was no doubt that Halford was outdoing Judas Priest during this time. This was a big comeback album for Rob, and was fairly successful in the metal scene. As Halford’s stock started to rise in the metal kingdom again, Judas Priest’s began to drop after the two disappointing Owens albums, and I believe the success of this album probably had a large hand in moving along the reunion of the Halford-led Judas Priest. A major highlight on this album is the appearance of Bruce Dickinson (who was on a comeback of his own having recently rejoined Iron Maiden) on “The One You Love to Hate”.